Creating the Next vibrant community. dynamic blueprint. energetic city. healthy neighborhoods. learning opportunities. Muncie. Our city is at an exciting crossroads. A new vision is being cast that lays a core foundation for our community’s next era of prosperity. We are celebrating our current successes and structuring our next opportunities. Most importantly, we are working together for the good of the place we call home. The Next Muncie aims to build lively places, foster healthy living, and create new opportunities for learning and working. Muncie’s “Central City” has been chosen as the focus of Next Muncie as both the hub of activity and catalyst for meaningful city transformation. 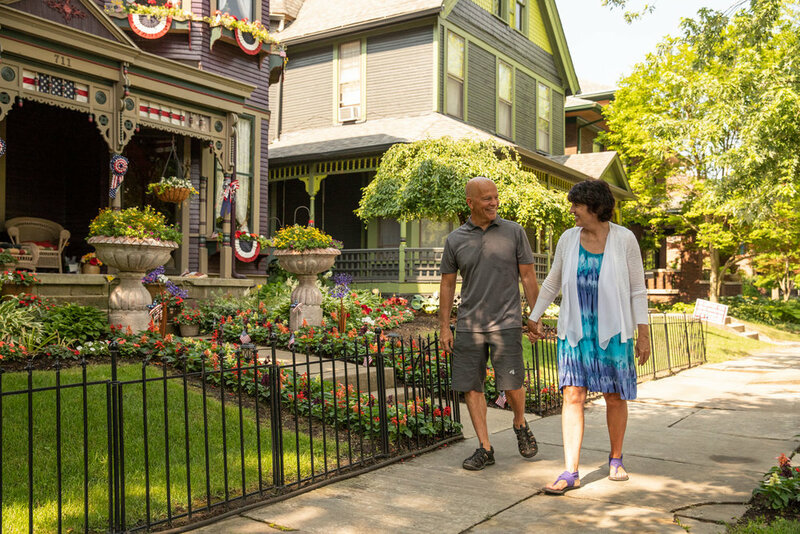 The Central City area includes Muncie’s highest concentration of place, economic, cultural and educational assets, including thriving institutions and key areas ripe with opportunity. With the support of anchor organizations—IU Health Ball Memorial Hospital and Ball State University—and enriched by cultural destinations like Minnetrista, the Downtown Historic District, and the White River Greenway, the projects of Next Muncie are the building blocks needed for the next phase of growth. Attractive and vibrant destinations, healthy downtown living, connected walkable neighborhoods, new opportunities for education and career pathways—while these positive changes will radiate past the Central City and reach all of Muncie, it begins with the core. Next Muncie focuses on Muncie’s Central City, its anchor assets and greenways. Together they give shape to sub-areas of opportunity for catalytic projects that build place, quality of life, and momentum for new investment. Amazing things happen when we work together. Committed leaders from across our city believe in collaborative efforts and have formed a strategic partnership to create transformational success throughout the Central City. With values rooted in collaboration, the leadership team has taken on the role of implementation and will be selecting champions to move specific projects forward. The team is also relying on Muncie residents to engage and contribute their tremendous energy and ideas as these transformations take place. Gov. Eric J. Holcomb nominated four areas of Muncie which have now officially been recognized as Opportunity Zones by the U.S. Department of the Treasury. Recommended for nomination by the leadership team for Next Muncie, these zones comprise much of the Central City area and will provide federal capital gains tax incentives to attract private sector investment. 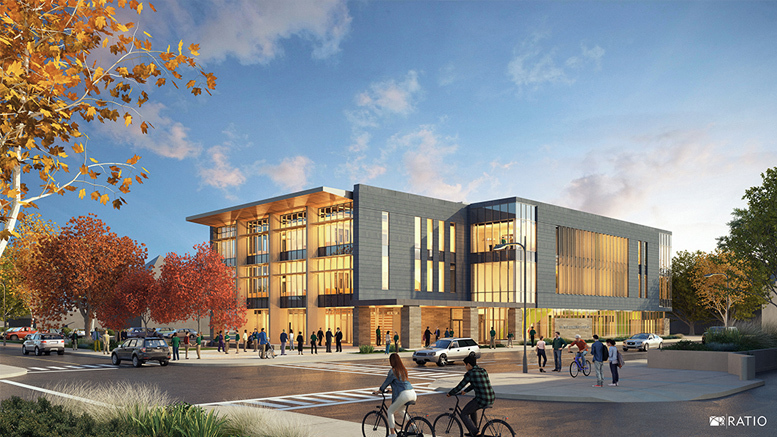 Ivy Tech Community College has increased its commitment to Muncie by announcing construction plans for a new Downtown location and renovations to the Fisher Building and its main Cowan Road campus. With the completion of these projects, Ivy Tech intends to draw nearly 2,500 students and community members to the heart of the city. It also has potential to change this part of the city by creating the market to attract new housing, office, and commercial investments to the surrounding area. Next Muncie is in support of a revitalized riverfront area and envisions a new multi-use district that features one of the city’s key greenway assets: the White River. Surrounding Liberty Pass canal, White River Canal District will create high-quality urban living, dining, and retail options for residents and visitors alike. The walkable Canal District will encourage healthy lifestyles and give public access to the river and greenway trail network. This investment in quality of place will create a new and exciting destination in the heart of the city.